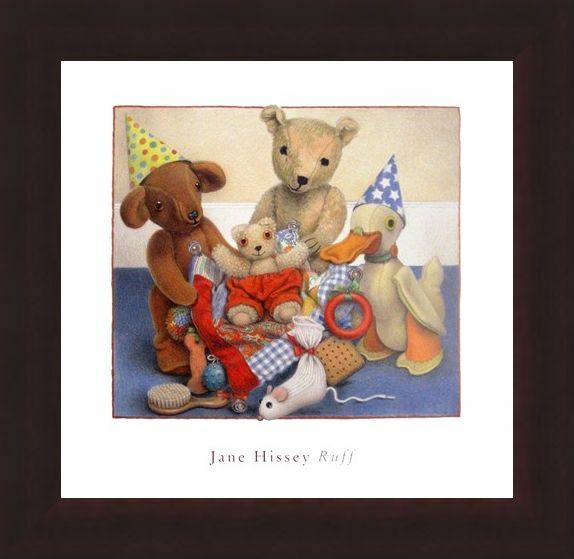 Art Print: The delightfully charming collection of children's books titled 'Old Bear Stories' became a BAFTA award winning television series and was written and illustrated by the fantastic Jane Hissey. 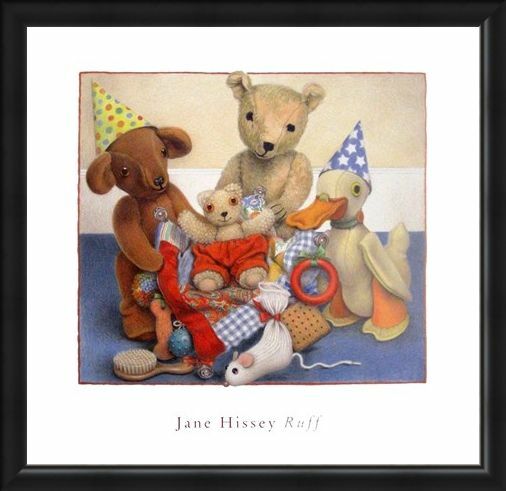 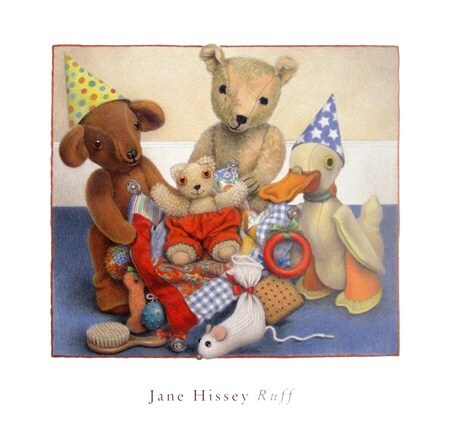 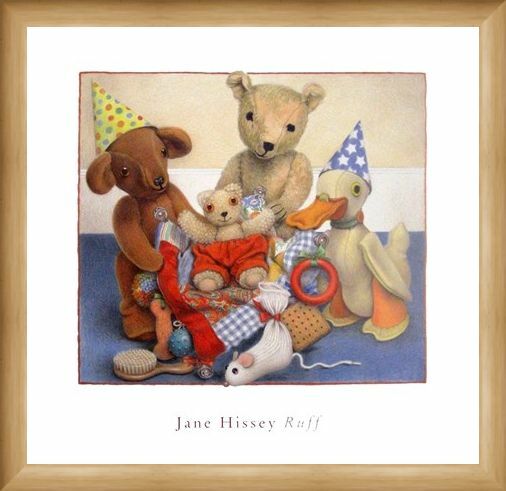 Featured here is a scene which depicts 'Old Bear', 'Duck', 'Little Bear' and 'Bramwell Brown' sitting and enjoying the presents they have collected for their dear friend 'Ruff's birthday. Wearing their colourful party hats, these loveable toys are surrounded by squeaky toys, a brush and a biscuit. 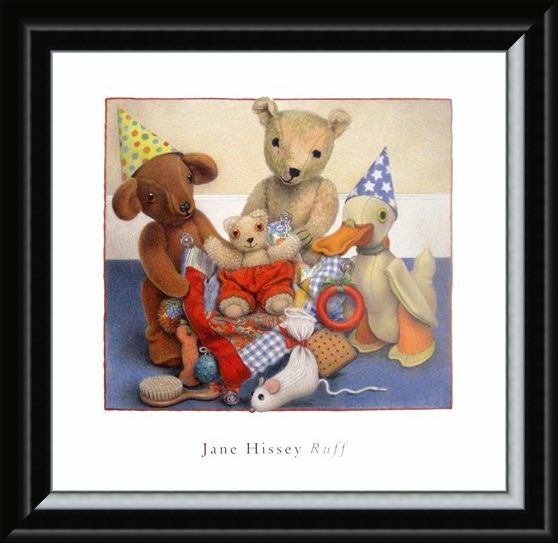 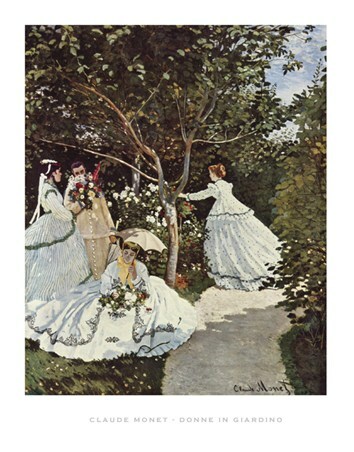 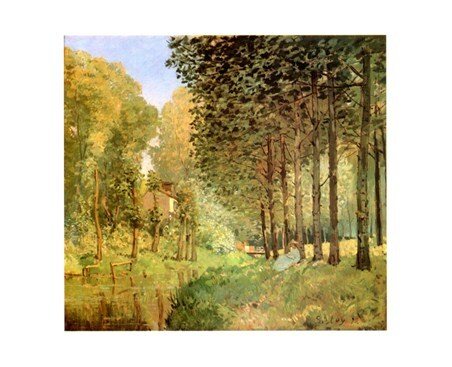 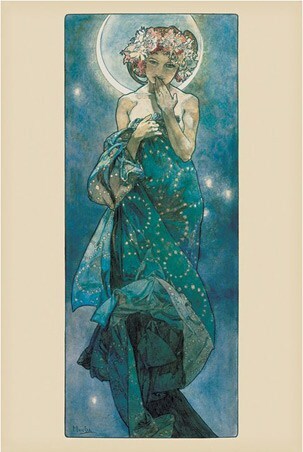 A wonderful art print which would be the perfect addition for any Old Bear lover's wall. High quality, framed Party Hats, Jane Hissey print with a bespoke frame by our custom framing service.